This private tour with a fun Tourist Guide will wow your guests and you will be shown lots of hidden gems that other visitors would not normally see on a visit to Liverpool, Port Sunlight & the Medieval City of Chester only 45 minutes drive from Liverpool in your luxury People Carrier or for larger groups your air conditioned coach. Your personal guide will show you how and why the city has changed especially since Liverpool hosted the European Capital Year in 2008. You will visit the best modern Library in the UK and its adjoining Victorian Round Reading Room, you'll explore the World Heritage Site, Georgian Quarter, see outside both Cathedrals (one of which is the World's fifth largest) Chinatown and lots more of this amazing city. You will explore Liverpool's leafy suburbs and Europe's second largest park and have your Beatles photo taken at Penny Lane Development Centre with its mini yellow submarine and Octopus's Garden, with some Beatles music along the way! You'll even see the childhood home of John Lennon. At Port Sunlight which is a pretty English Village built by William Hesketh-Lever for his Sunlight Soap workers in 1890 you will smell wonderful English Roses and visit the magnificent Lady Lever Art Gallery with its collection of Wedgwood and Pre-Raphaelite art and where you will have time to buy refreshments. Whilst in Medieval Chester you will be entertained by the Town Crier, enjoy a short guided walk of the ancient city walls to the river and the King Charles Tower. You will see the Roman Ampitheatre and visit the Cathedral with its Romanesque arches & even see the second most photographed clock in the UK after the clock at Big Ben in London. 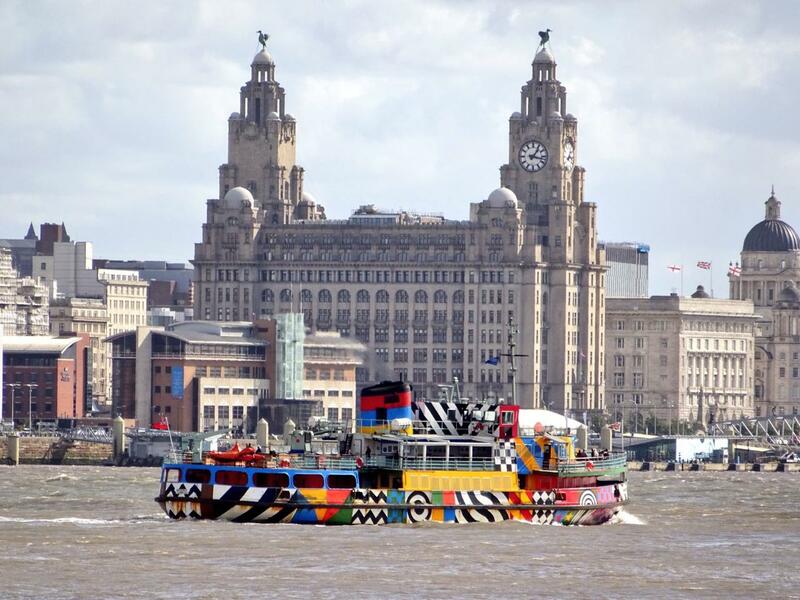 You will enjoy the famous Mersey Ferry Cruise with amazing views of Liverpool waterfront as you arrive back in to the city with breathtaking views of Liverpool's magnificent waterfront. There will be ample time for a group photo at the new lifelike statues of the Beatles in front of the iconic Liver Building and your guide will show you the Waterfront. This is an extremely popular private tour and it is very much in demand especially on Cruise Ship days and advance booking is recommended. At your preferred time, we will meet you at your requested location for example your hotel or the Cruise Terminal. - Guided Visit of the beautiful village of Port Sunlight including the venue where Ringo Star first played drums with the Beatles in 1962 and time to buy refreshments and use the facilities at the Lady Lever Art Gallery which houses Lord Lever's personal collection including magnificent pre-raephelite & Victorian art, Wedgewood Pottery, Tapestries, Chippendale and other English Furniture as well as five period rooms. - Mersey Ferry Cruise and photos at the new Beatles Statues in front of the iconic Liver Buildings. - Free Time on Liverpool Waterfront to buy lunch at Maritime Museum restaurant in the Albert Docks. - Guided tour of Liverpool in your luxury people carrier including a visit to the worlds fifth largest cathedral, the Victorian Round Reading Room, Penny Lane and a walk down Mathew Street to see the Cilla Black statue outside the Cavern Club. There are lots of options to vary the above itinerary to deal with weather & to suit any specific interests that your group might have. For example we can add on an LFC stadium tour, Dock Cruise or focus more on architecture, whatever you decide this day out will be a hugely personal experience and one which will leave you full of happy memories.